Click here to sign up / view last years's photos. Proceeds in Tony Pereira's Memory to be donated to a Ronald McDonald House! 9th A.P. 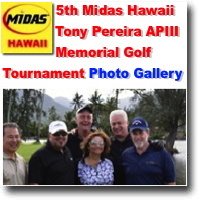 III Memorial Golf Tournament Dianne Pereira, of Midas Hawaii is at Midpac Country Club in January 28, 2019.Proceeds from the tournament in support of our mission and in honor and memory of her beloved brother-in-law. This tournament format allows you to bring your own foursome, play your own ball, and play your own action within your group. All single entry golfers will be set up in a foursome. Teams will be selected at random among all tournament golfers. All players will be divided in to "A" and "B" categories. (Your latest GHIN or club handicap will determine your category). Each "A" player's net score will be teamed up with a "B" player's net score. Teams will be posted but team members will more than likely not be in the same foursome. 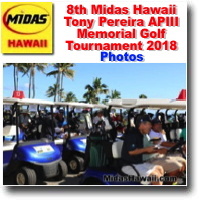 The tournament will start at 11:30, with tee-time registration at 10:00 am preceded by a putting and chipping contest and other pre-tournament activities. The $175 entry fee includes green & cart fees, gift bag, tickets to chipping & putting contests, catered lunch, a door prize (approx value $50+) and a Banquet Dinner. 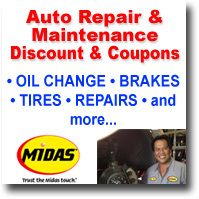 Entry for a Grand Prize drawing for a trip for 2 to Las Vegas for 5 nights including hotel and air fare. 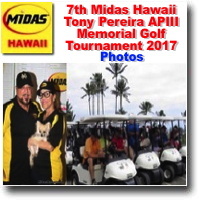 The proceeds to be donated to Ronald McDonald House in memory of Tony Pereira III. This gentle giant was ever supportive of many many charitable organizations and has been an inspiration for many of us who learned to love this sport by following his example. 2 Person (Blind Draw) net score. 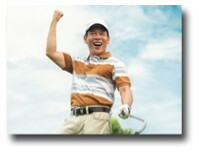 The tournament format allows you to bring your own foursome, play your own ball, play your own action within your group. All single entry golfers will be set up in a foursome. Teams will be selected at random among all tournament golfers. All players will be divided in to "A" and "B" categories. (Your latest GHIN or club handicap will determine your category). Each "A" player's net score will be teamed up with a "B" player's net score. Teams will be posted in advance but do not have to be in the same foursome. 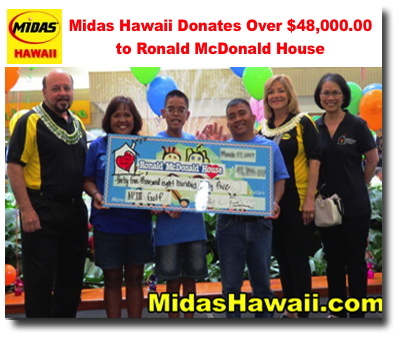 RMHC Hawaii is a private 501 (c)(3) organization which operates programs aimed at assisting seriously ill childrenand their families.The Ronald McDonald House Program, our cornerstone program, is designed to make it possible for families to stay together as a unit and receive crucial family services and support after they arrive in Honolulu from the neighbor islands or the Pacific seeking critical medical treatments for a sick or injured child that can't be found in their own home community.Services include lodging; transportation to and from the hospitals; a fully-stocked kitchen, pantry and laundry room; pre-paid cell phones for their use; internet access and much more. It is our goal to help take care of as many of the daily living needs as possible so that families are free to concentrate solely on supporting their child's recovery.We also strive to maintain a nurturing environment where children and families that are going through these challenges may comfortably reach out to each other for support and inspiration. We have two Houses available that allow us to serve up to 17 families.On average, the Ronald McDonald House program serves over 400 families annually. RMHC Hawaii also operates the RMH Family Room, a family respite center operating 365 days a year within Kapiolani Hospital.Each year thousands of visitors, mostly hospital patient families from Oahu utilize the room to find a little relief from the worries surrounding their child's illness.We look at it as a little slice of the Ronald House right there in the hospital. Bob and Dianne Pereira, a former RMHC Hawaii board member and longtime supporter, has fully embraced the work that we do.Your support of the tournament through a team sponsorship, monetary or goods and services donation, not only helps the tournament's success, but ultimately the seriously ill children and their families that RMHC Hawaii serves.We hope you will consider being a part of the solution for these families during their time of crisis with your support. $18,782 donated to Ronald McDonald House in Tony Pereira's Memory. Honoring Bob and Dianne Pereira Midas Hawaii 2016 Gala Co-Chairs Russell Akamine and Wes Hiyane. 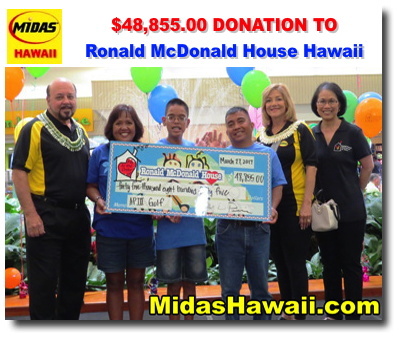 $18,000 donated to Ronald McDonald House in Tony Pereira's Memory. 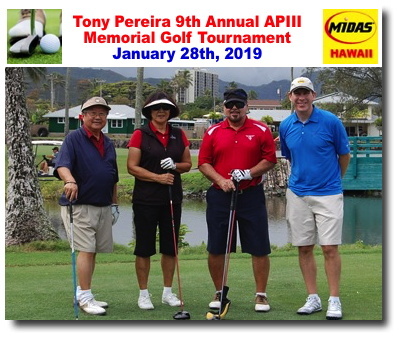 Bob & Dianne Pereira from Midas Hawaii presented Jerri Chong, President, and Bruce Yanagihara, Board Member of Ronald McDonald House Charities with a check for $14,196 on behalf of the APIII Memorial - Ronald McDonald House Golf Tournament . 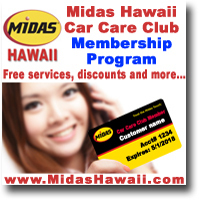 The event will be held again at Mid Pacific Country Club next year on January 27th, 2014.